Whew! I'm back from a busy weekend away at Quilt Camp! I actually got back Sunday evening, but I still feel like I'm recovering from all the late nights and fun. We had such a good time. Thursday afternoon, Jeni drove to my house from Wisconsin so we could car pool to Michigan together. It was really nice to have someone to chat with during the drive and it seemed to go by rather quickly, rather than the 3+ hours. 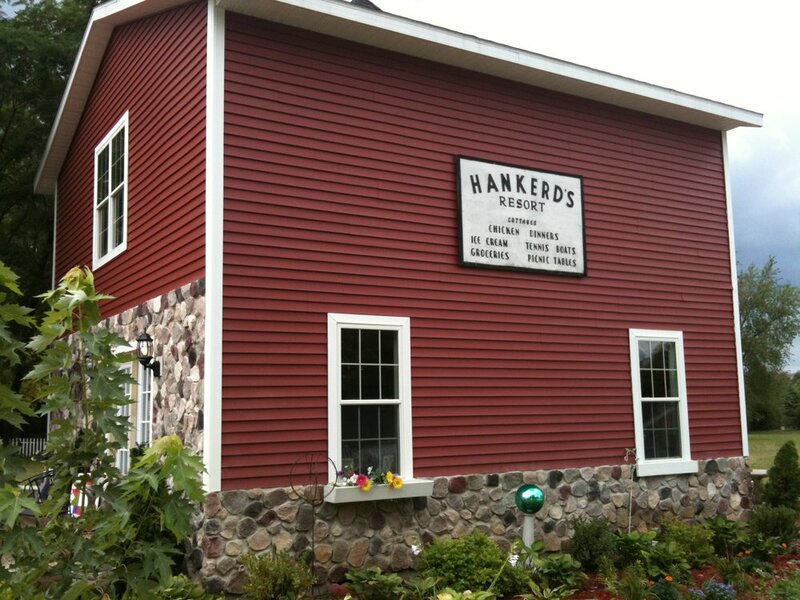 We stayed at the Hankerd Inn in Pleasant Lake, Michigan. It was so cute! Lots of old barns and cottages set up specifically for quilting/sewing retreats. The owner was just the sweetest and took such good care of us while we were there. There was lots of open sewing time and also four classes. I taught my Poinsettia Mini Quilt Pattern. 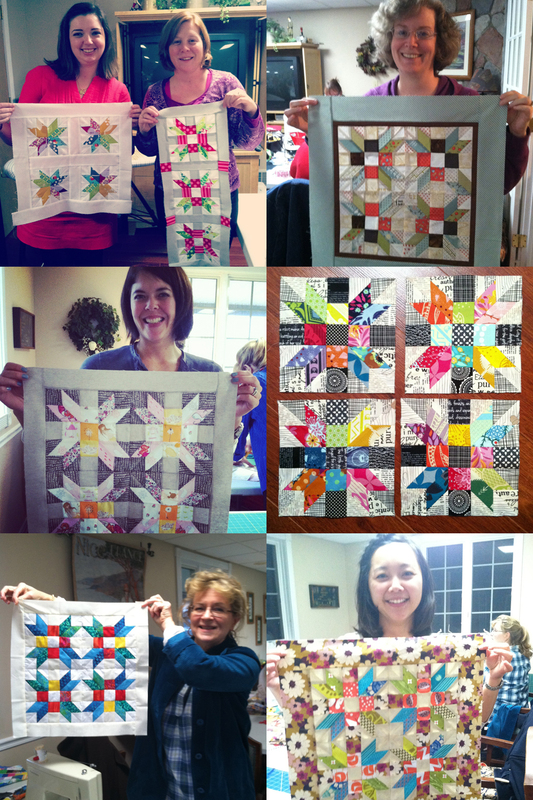 There were quite a few people paper piecing for the first time - and we had a lot of success! These are only a few of the finishes. Since I've already made one mini quilt from the pattern layout, I'm thinking of an alternative design with my blocks. Heather taught Improv and everyone made really great blocks. Jeni taught her famous drawstring bags and Brenda taught English Paper Piecing. There were bags and hexies popping up all over the place! So much holiday sewing was accomplished - this is only part of the projects everyone finished. These were my table mates for the weekend - my great friend Kara (we met just after college in 2000), Cristin, Angela, and Amanda. And my fellow "camp counselors" - Heather, Brenda and Jeni. I'm so grateful for everyone that came to hang out and sew. This was the first time for Brenda's Quilt Camp and I know she plans many more! Hopefully many of you will get a chance to attend one of the future camp weekends.